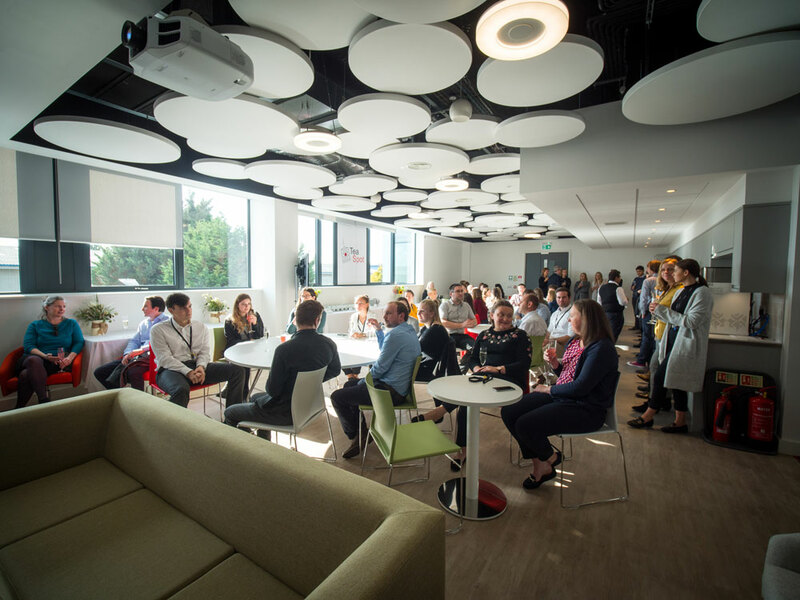 It was a great pleasure to attend and celebrate the opening of our latest completed building and fit out at one of Europe’s largest business communities in Oxfordshire. The ceremony started with the ribbon cutting followed by an afternoon high tea reception. Left: Peter Wrighton-Smith, CEO/Founder, Oxford Immunotec Global PLC. Right: Mr Ed Vaizey, Member of Parliament for Didcot and Wantage. 143 Park Drive East is located in MEPC’s Milton Park in Oxfordshire, part of the UK’s ‘Science Corridor’. 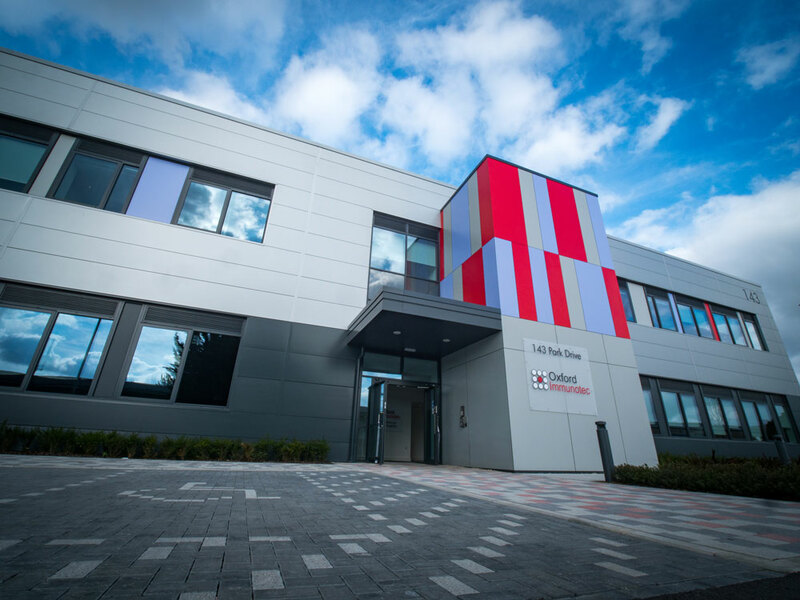 The building has become the new home to Oxford Immunotec, a global high-growth Diagnostics Company focused on developing and commercialising proprietary tests for the management of under served immune-regulated conditions, including Tuberculosis, Lyme disease and Babesia screening. SRA built the Hybrid Development for MEPC: a 27,000 sqft facility that will now combine two of the three existing Oxford Immunotec facilities already based at Milton Park. Our designs include manufacturing rooms, R&D laboratories, and Oxford Diagnostic Laboratories as well as high-specification offices for sales, marketing and various headquarters functions. Additionally, new communal spaces and rest areas have been specifically designed to provide an environment to facilitate a shift in the working culture towards flexible office spaces. Oxford Immunotec manufactures all its products at Milton Park, of which, over 90% are exported to over 50 countries around the world. 143 Park Drive will enable the company to expand its manufacturing and laboratory space to support its continued growth, as well as support its transition from a one product company to a four product company.